If you like your punk mixed with ska, or ska mixed with punk, or ska, or punk, listen to this! A rad free comp of ska and punk. Give it a whirl! 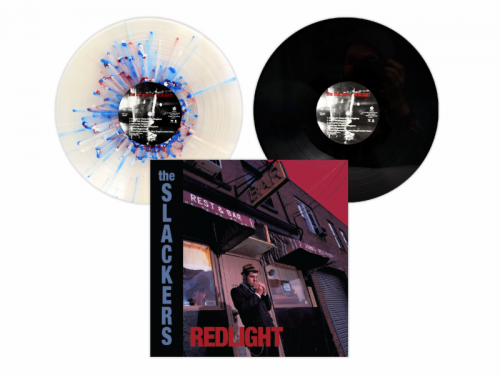 NEW RELEASE: THE SLACKERS “REDLIGHT” 20th ANNIVERSARY EDITION COMES WITH 3 BONUS TRACKS! Long out-of-print, this classic sophomore album by one of the greatest ska bands ever has been given the proper 20th anniversary treatment. This is a must-have for any Slackers fan, regardless of whether you own the original or not. Having been remastered for vinyl, and pressed on 180gram vinyl, “Redlight” has never sounded as good; and with a two-color foil stamped cover, exclusive art-print insert, and lyric sleeve, it’s never looked so good! Posted on March 10, 2017 March 10, 2017 Author Jerry ActuallyCategories Music News, New ReleaseTags classic, ska, slackers, vinylLeave a comment on NEW RELEASE: THE SLACKERS “REDLIGHT” 20th ANNIVERSARY EDITION COMES WITH 3 BONUS TRACKS! Here’s an interesting little slice of audio for ya. 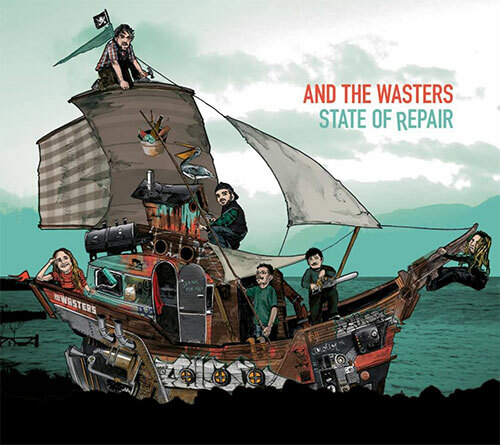 State of Repair, a forthcoming EP by Bristol based folk-ska-punk act “And The Wasters”. Five tracks of music spanning several decades of influence. I’m immediately struck by how much it reminds me of many of my favorite late 70s / early 80s UK favorites: The Specials and Fun Boy Three, Madness, Pogues, Clash, then throw in a bit of more modern influence of Flogging Molly and Gogol Bordello. Blend it up even more with some dub ska instrumental jams ala Skatalites and I think you’ll get a sense of what I’m picking up. The opening track, Lion’s Share sets the tone of disenchantment. Without picking apart each track, I get a strong sense of anarcho/pirate punk and a bit of an anti-establishment bent, certainly helpful for any sort of protest music. The tracks are up-tempo and catchy and at only five songs, I’m left with wanting more. I feel like maybe the tracks I’ve been given to listen to are a bit out of order, what with “Intro Dub” occurring last, but hey, who am I to judge? At any rate, I’ve listened to the EP about 10x through now and I am totally into it. 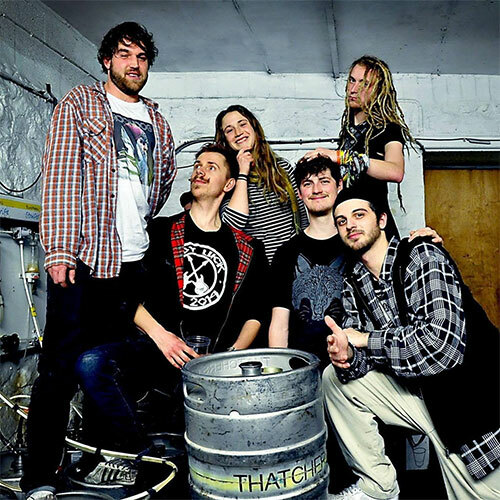 If you haven’t heard And The Wasters, I demand you check them out! PRE-ORDER THE RECORD AND STREAM THEIR NEW SONG, “THINGS CHANGE,” NOW! 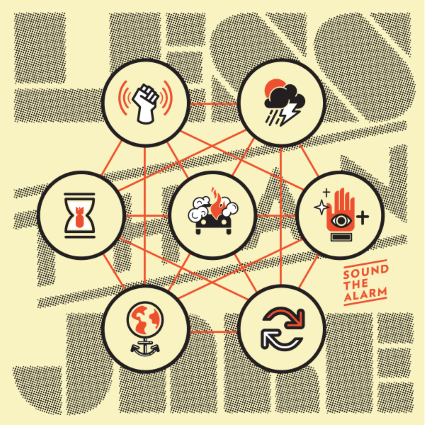 January 4, 2017 – Los Angeles, CA – Influential Gainesville punk band Less Than Jake has announced plans to release a new EP titled Sound The Alarm on February 3rd with their new label Pure Noise Records. Fans can pre-order the record and stream a brand new song called “Things Change” now at http://smarturl.it/LTJ. Fans can catch Less Than Jake live this winter on their co-headline U.S. tour with San Diego rock band Pepper, which starts in Dallas, TX on January 20th and wraps in St. Petersburg, FL on February 28th. Tickets are on sale now at http://www.lessthanjake.com/. 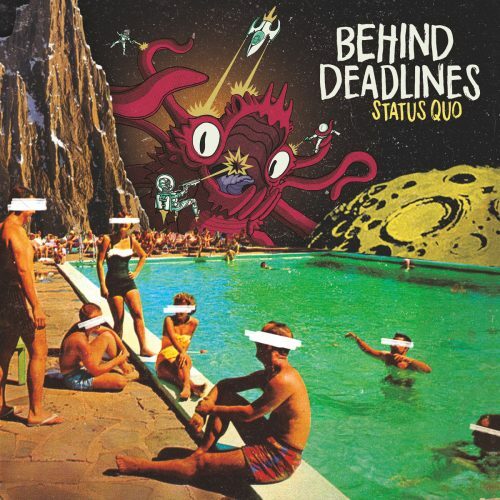 I’m listening to “Status Quo” the forthcoming debut full-length album from Philadelphia based ska punk band, Behind Deadlines. The release features 10 peppy tracks, and is a damn nice way to start into this holiday season. [Edit, the album actually will have 11 tracks when released. The updated track listing is below.] I think the band and I may differ slightly with the punk to ska ratio. I’d say, that the punk portion is tempered a bit with funk. But hey, I’m not the arbiter of such things (or am I) Overall it’s a winning combination and more of what this world needs. The album sounds polished. Mix is clean and the levels all seem to sit right where they ought to. I suppose this stands to reason. The production has a solid pedigree, having been recorded by Dan Malsch (Bigwig, Four Year Strong, Forever the Sickest Kids) and mixed by Mark Michalik (The Swellers, We Are The Union, Fireworks, Into It Over It, The Wonder Years). Over the years I swear it’s become more challenging for me to decide on specific influences that bands have. They have to be pretty blatantly obvious. If I had to throw a few out there, I’d suggest Less Than Jake, Mustard Plug, Deal’s Gone Bad, and Bosstones. I might just be name dropping. Who knows? The takeaway is that fan’s of the aforementioned bands, will probably find some affinity for Behind Deadlines as well. Give it a whirl. A few notes on individual tracks: I’m not a big fan of guitar solos, but the first solo on track 4, “Hey Dear Friend” is tasteful as all getout. I fully approve. As well, the horns that kick in around the 8 second mark on track 5, “Making Change” are damn tasty too. I won’t spend a whole lot of time telling you what you already know. If you like ska, punk, fun danceable rock and roll, or any combination thereof, please checkout Status Quo and if you can, go check out a live show. If you’re not on the East Coast, the band is playing a few select dates on the Best Coast too. Dutch punk/ska outfit Bitter Grounds, just released a music video of their song ‘Struck Out’. The song will be featured on the upcoming full-length album, to be released near the end of the year through German DIY label Ring of Fire Records. You can check it out here: https://www.youtube.com/watch?v=_KmiYSj2u9E or watch it below. Bitter Grounds rose from the ashes of ska-punk band Beans, which formed in 1996 and played hundreds of shows, and released four well-received records, until calling it quits around 2005. Ten years and several bands later, the foursome are back better than ever! Los Angeles-based ska-punk band The Interrupters will release their sophomore album, Say It Out Loud, on June 24 via Hellcat Records. Say It Out Loud is undeniably fun and urgent in message. And backing their modernized 2-Tone-tinged, guitar-fueled, melody-heavy sound are lyrics that confront everything from social control and self-empowerment to domestic violence and the media circus surrounding the next presidential election. True to The Interrupters’ unabandoned passion and personal-meets-political dynamic, the first song shared from the album is “By My Side,” a fist-pumping, tender tribute to outcast solidarity. Since the release of their 2014 self-titled debut, The Interrupters have split their time between touring with the likes of The English Beat and Bad Religion and cranking out new material that shows off their irrepressible sensibility. So when the time came to record their sophomore album Say It Out Loud, the four-piece hit the studio with Rancid’s Tim Armstrong and fired off 14 new songs that both capture their frenetic energy and reveal a whole new level of boldness in their songwriting. “Over the past couple years we got to know ourselves so much better as a band, and that gave us a lot of room to really grow on this album,” notes frontwoman Aimee Interrupter, whose bandmates include guitarist Kevin Bivona, bassist Justin Bivona, and drummer Jesse Bivona. Pre-orders for Say It Out Loud are available at http://www.wearetheinterrupters.com/. The Interrupters will headline a SOLD OUT headline show at The Roxy in Hollywood, CA and are on the Vans Warped Tour all summer long, staring in Dallas, TX on June 24 through August 13 in Portland, Oregon. 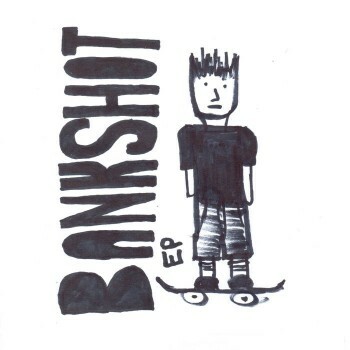 At this very moment, I’m listening to a new EP from a band called Bankshot. They are a ska punk band outta Davenport, IA. The five tracks on the self-titled release bring me back to the sweet 3rd wave days when all of my favorite bands came out of the Midwest and college towns, and sometimes from Midwest college towns. As I listen I’m reminded of old Mustard Plug, Los Rudiments, new acts like I Voted for Kodos, and the combined roots of multiple generations of punk and ska. The music on the whole is energetic and upbeat the way in the way that you’d assume if you knew anything about skapunk. In keeping with the nature of the genre, track length is short (generally) and the songs are rather rapid paced. The tracks can, at times, seem a bit busy and perhaps careening towards falling apart. That’s not a bad thing per se, as within those same attributes, there’s the raw urgency of youth. a quality which rarely transcends later years. The production is sparse and suited to the material. There’s a very garage rock / old school sound to the recording. I think it provides a sense of how the band might sound live. With only five tracks, it is a brief introduction into what has the potential to be a very promising band if they can keep on refining and defining their sound. You can listen to the Bankshot EP here.